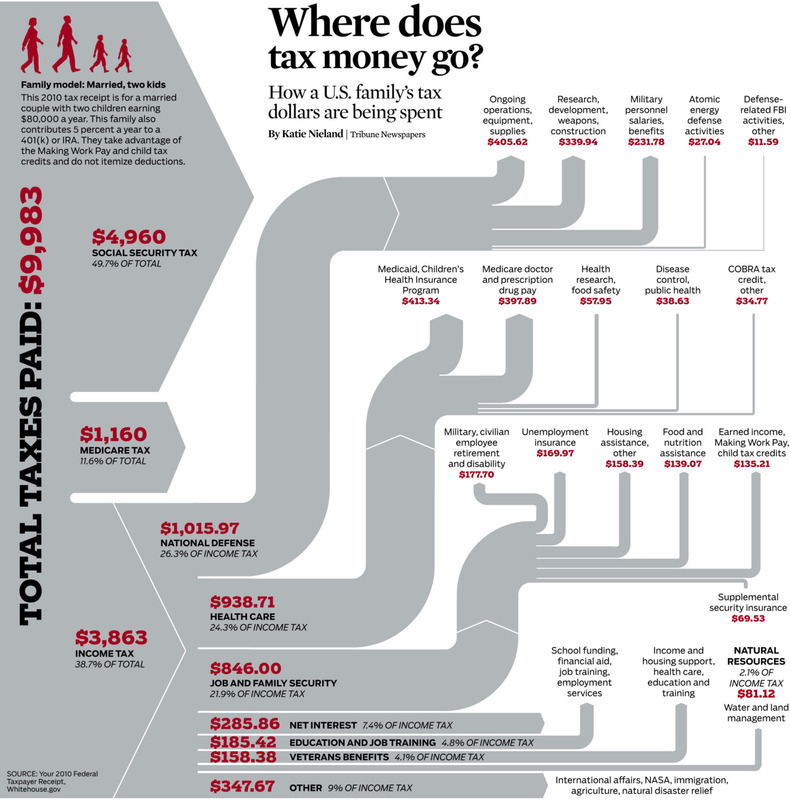 Where does a family’s tax money go? 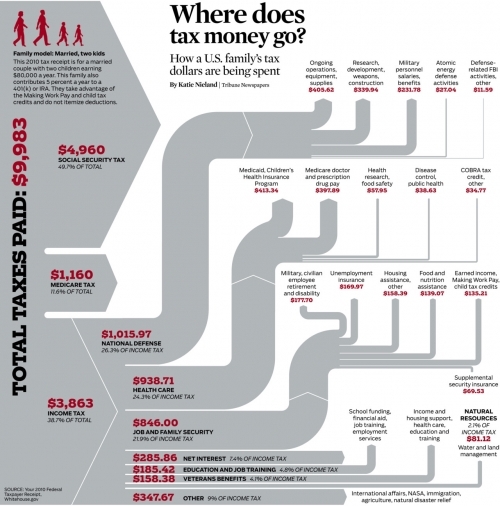 From Katie Nieland’s early bird desgin blog, this Sankey diagram shows an average US family’s tax burden. Income tax goes to the national budget that is further broken down to show spendings. More than half of the tax load is social security tax, another 1,016 US$ us medicare. Out of the 9,983 US$ taxes some 1,016 US$ go to national defense.